Adobe Reader 11 software is the free global standard for reliably viewing, printing, and commenting on PDF documents. It’s the only PDF file viewer that can open and interact with all types of PDF content, including forms and multimedia. 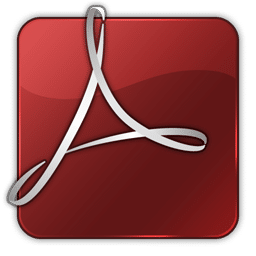 Adobe Reader 11 software lets you view, print, and search PDF files on a variety of devices and operating systems with faster launch time and real-time zooming and panning. You can use Adobe Reader 11 to read, interact with, and print Portable Document Format files generated by such applications as the Adobe Acrobat family of products, Adobe Photoshop Album, and more. Adobe Reader 11 also lets you fill in and submit PDF forms online. And when enabled by Acrobat Professional authors, you can now leverage robust commenting tools and actively participate in document reviews. Open and view any PDF document in Adobe Reader 11 software using new Protected Mode. 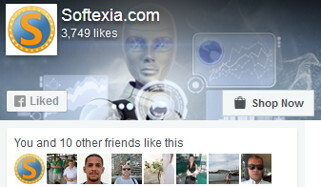 Take advantage of new signature features and enhanced review and commenting tools to share your feedback with others. Signing PDF documents. Sign any PDF using a typewritten, hand-drawn, or scanned image of your signature. The new Send For Signature feature also lets you connect to Adobe EchoSign to ask others to sign files electronically, tracking status online. Industry-leading security. Take advantage of the security of Protected Mode in Reader, which helps safeguard your computer software and data from malicious code. Enhanced commenting tools. Make notes and share your feedback with others by marking up PDF documents using the Sticky Notes and Highlighter tools. Comprehensive file searching. Find and retrieve any PDF document or phrase within a document in seconds. Search for words in page content, annotations, bookmarks, form fields, or document metadata within any PDF file on a local computer. Opening PDF Portfolios. Open and view contents of a PDF Portfolio, a collection of PDF documents, and other document types, including drawings, email messages, spreadsheets, and videos. Electronic form submission. Fill, save, sign, and electronically submit forms that have been Reader enabled by Adobe LiveCycle ES2 or Adobe Acrobat software. Flash technology support. Enable a new level of end-user interaction thanks to the ability of Reader to natively display rich media content created with Adobe Flash technology. CAD and geospatial functionality. Adobe Reader XI users can access and interact with CAD designs and geospatial maps that have been converted to PDF. Access to all PDF files. View and interact with PDF files that contain a wide variety of content types, including drawings, email messages, spreadsheets, videos, and other multimedia elements. Multiplatform support. Deliver a reliable experience across operating systems. Adobe Reader XI supports a wide variety of operating systems, including Windows® and Mac OS, so extended teams can share documents across platforms. Simplified user interface. View information more precisely and efficiently. Choose reading mode to fit more content on the screen or two-up mode to view page spreads. Use keyboard shortcuts like print, zoom, and find within the browser. Online services. Directly access online services at Acrobat.com from within Adobe Reader XI. Perform common tasks such as creating PDF files, securely sharing and storing documents, and screen-sharing. International standards. Take advantage of support for the new ISO Standard 32000 for PDF. Also, Reader continues to support PDF/A, the ISO-approved standard for the long-term preservation of electronic documents; PDF/X (printing); PDF/H; PDF/E (engineering); XMP/RDF; and ODBC. Accessibility. Let Reader XI read out loud, or change the reading order of columns. Reader meets the accessibility requirements mandated by Section 508 of the amended U.S. Rehabilitation Act. Deployment tools. Manage Reader deployments using a wide range of IT resources, including the Adobe Customization Wizard, IBM Tivoli, Microsoft System Center Configuration Manager (SCCM), Microsoft System Center Updates Publisher (SCUP), and more. Extensibility. Extend the functionality of Adobe Reader X using the Acrobat software development kit (SDK), available free of charge. Multilingual User Interface. Install French, German, and Spanish simultaneously, and then switch among them using the Adobe Multilingual User Interface (MUI). The user interface also changes to the appropriate language on-the-fly. Adobe X Pro XI is also out!